Assam, one of the North-Eastern states in India is also known as Land of Blue Mountains and Red River. Whenever I did a search on my hometown, Google would often return information on Blue Mountains (Australia). 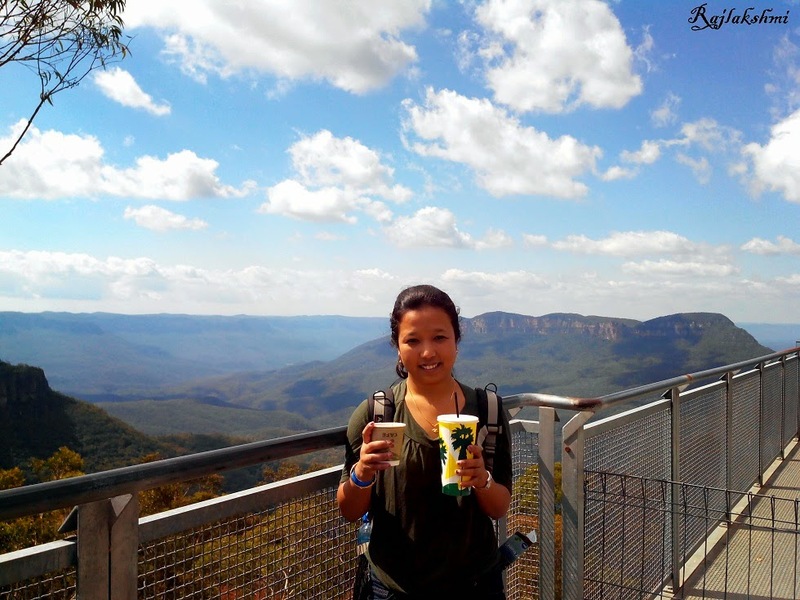 So, when I landed in Sydney last year, it was natural that Blue Mountains was high on my travel list. 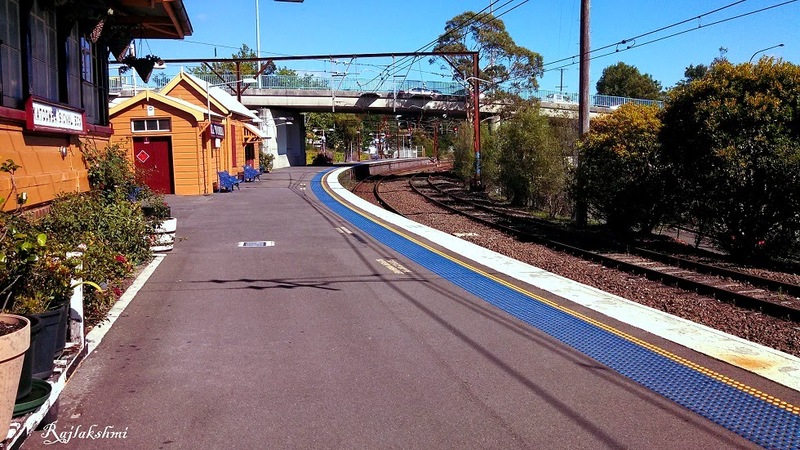 One sunny Saturday, I took an early morning train from Strathfield and reached Katoomba station, two hours later. And true to it's name, the mountains did look bluish towards the horizon. 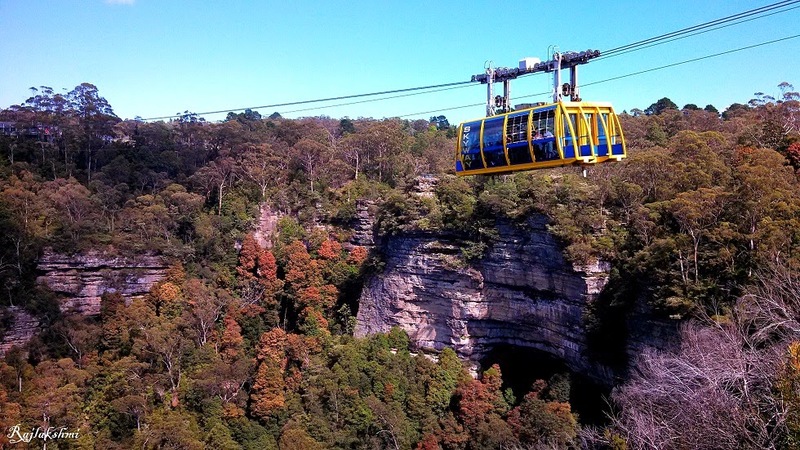 Katoomba is a quiet suburb, a hilly area surrounded by beautiful tall trees and bushes. There were many hop-on-hop-off buses plying on the road. I bought a ticket that covered trails, scenic world and scenic railway. 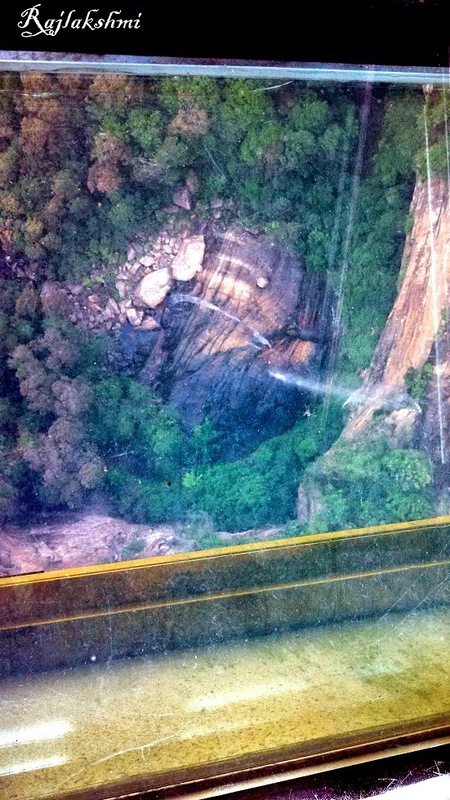 The Scenic Cableway had a glass floor and you could see waterfalls and valleys down below. 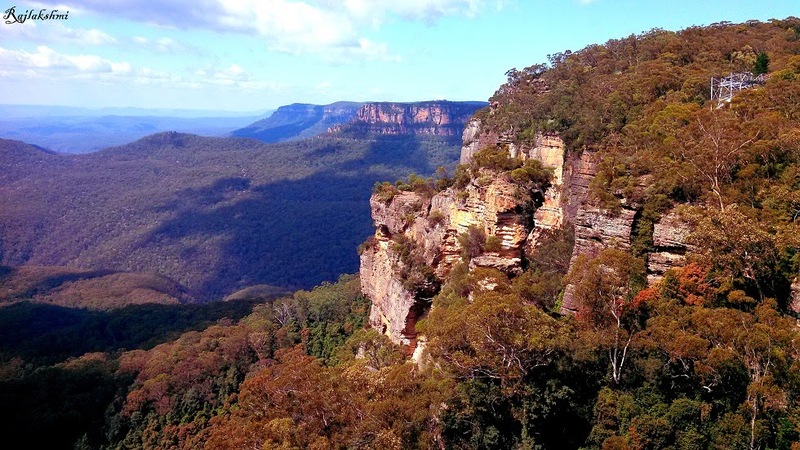 Can you see the Katoomba Waterfall in the picture? 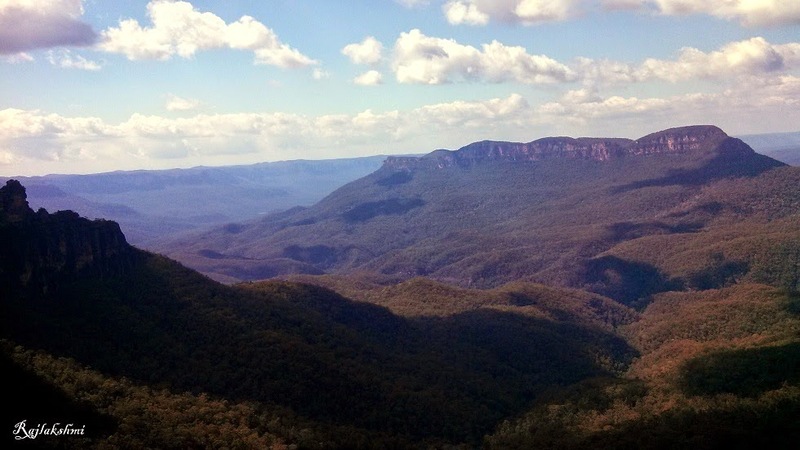 It is also a vantage point to view Three Sisters, Mt Solitary and Orphan Rock. 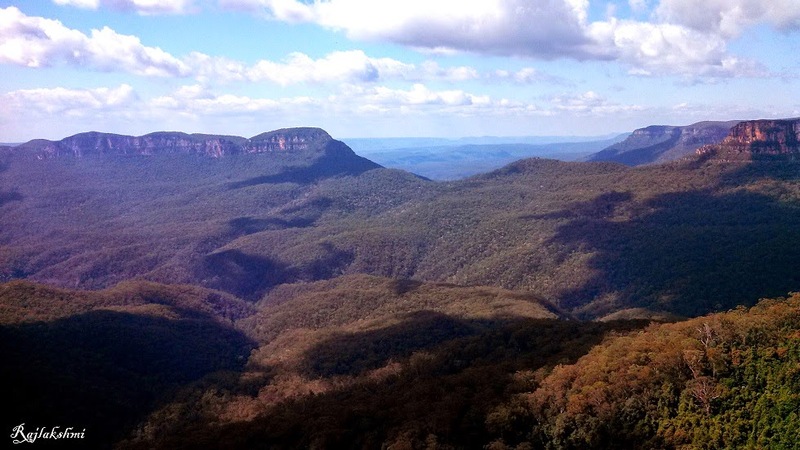 Here's Mount Solitary (the mountain on right), a famous site for camping and hiking. The view in front of me was just stunning and majestic. I wondered how dense the forests looked, but at that point I didn't know that an hour later I would inside this forest, hiking and climbing stairways. What lovely shots and scenery! What a gorgeous place! It amazes me to see landscape and scenery like this there. I always think of Austrailia and think of Sydney harbor in my mind. This is just breathtaking!! Blue and beautiful! Thanks Rajlakshmi for sharing these lovely pictures. You really are one lucky gal to experience so much beauty around you :) Gorgeous indeed! I'd love to visit the Blue Mountains one day! The Blue Mountains are a beautiful area of Australia - but India is beautiful too! I remember visiting Katoomba as a child. Thank you for the lovely virtual Blue Mountains tour! Beautiful and scenic locales, a true joy ride. Wow, orphan rock is beautiful! Eine herrliche Landschaft und schöne Bilder ! Simply beautiful and great place to think, meditate and enjoy nature as well as solitude! Stunning pictures. My parents lived in Aus in the early 1950s. My mom always talks about the blue mountains so I'm hoping I'll get to see them someday. How beautiful! And exciting too!